Eroni Vasiteri Narumasa arrives on a one-year deal. 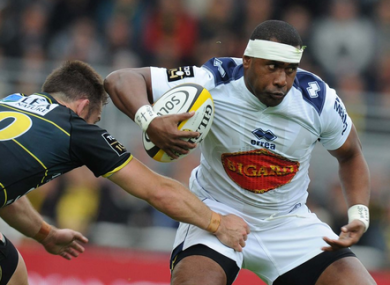 The Fijian has previously played in the Top 14 with Agen. CONNACHT HAVE STRENGTHENED their backline resources with the signing of Fijian international Eroni Vasiteri Narumasa on a one-year deal with the option of a further year. The 28-year-old centre joins the western province from National Rugby Championship side Fijian Drua and will bolster Kieran Keane’s options after Peter Robb was ruled out until December. Narumasa, who has made four international appearances for Fiji, previously played in the French Top 14 with Agen and should be available to Connacht in the coming weeks. “I am delighted to announce that we are adding Eroni Vasiteri to our squad,” Keane said. Email “Connacht bulk up midfield options with signing of Fijian international centre ”. Feedback on “Connacht bulk up midfield options with signing of Fijian international centre ”.